Photo by Ownipics on Flickr and used here with Creative Commons license. The rise of self-publishing as a viable economic model for authors has started to disrupt the book publishing business — and nobody has benefited more than so-called “hybrid authors.” Allow me to explain. "The No. 1 thing hybrid authors like about self-publishing is creative control." In 2011, self-publishing is thought to have drained roughly $100 million in revenue from the traditional trade publishing business — a drop in the bucket for the $14 billion business. In 2012, that number is thought to have doubled. With the increasing success of self-published authors in hitting best-seller lists, the number should continue to go up. Publishers are not only contending with increased competition for readers’ attention, they are finding now more than ever that they need to work to attract new authors and retain established ones. It used to be that the best authors would be able to choose between competing publishing houses. Today, every author has yet another option: Do it themselves. For authors who don’t have a choice, so to speak, self-publishing is the path to audiences that didn’t exist even five years ago. Hence, hundreds of thousands of new books that never before would have been “published” are available through Amazon and at dozens of other places. Essentially, the publishing industry is now very complicated. From within this maelstrom, a new kind of author has emerged, one who is much savvier about her prospects in the publishing industry; one who works hard to understand the economics of publishing and make smart decisions; one who knows how to take the job of being an author seriously and market her books like the lovechild of Malcolm Gladwell and Don Draper. We call them hybrid authors. Hybrid authors are those who have both published a book with a traditional publisher as well as self-published. Undoubtedly, not all of them are savvier than all other authors, but recent research from Digital Book World (where I am editorial director) based on a survey of nearly 5,000 authors showed that, in aggregate, they are better at marketing their books, have more nuanced and sophisticated views on the publishing industry, have a higher sense of their value and, ultimately, make more money from their writing than other kinds of authors (including self-published, traditionally published and aspiring authors). This summer, we followed up with these hybrid authors to find out what they want from publishers and what they think about a range of issues. So, what do these authors want from publishers? The No. 1 thing hybrid authors like about self-publishing is creative control. While much of the debate around what publishers should be doing for authors in light of self-publishing centers on money, it should really focus on other issues — like creative control. When authors self-publish, they get to control every aspect of the process, from the words inside the book to the cover design to the price and everything in between. Some authors believe that they know how to do these things better than publishers — that they know their audiences better; others just want their voice heard. After all, if you’ve spent months or years writing something, fantasizing about what will happen when it hits bookshelves, you might want to have some say on what shape it’s in when it gets there. Photo by mobilyazilar on Flickr and used here with Creative Commons license. While creative control for creative people in a creative industry is important, there is one thing hybrid authors want more than anything else from publishers: distribution. When deciding whether to publish or self-publish, the No. 1 determining factor that made authors consider to go with a traditional publisher was reach of distribution — specifically, a publisher’s ability to get a print book into bookstores. 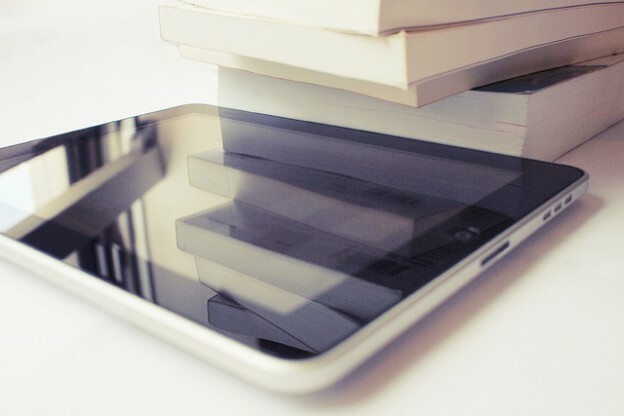 Nearly 30 percent of all book-publishing revenue in the U.S. was e-books through the first four months of this year, according to the Association of American Publishers. Still, that leaves a vast majority of the revenue going to print and a huge chunk of print books are sold through bookstores. And the most reliable way for authors to get their books into bookstores is through a traditional publisher that has established sales channels into stores. Bookstore distribution is publishers’ ace in the hole in the era of self-publishing. If Kindle Direct Publishing, Smashwords, Lulu and other self-publishing service providers can find a way to reliably and consistently get their authors’ works on the shelves of Barnes & Noble stores nationwide, publishers might be in trouble. But for now, savvy authors are still finding smart reasons to work with publishing companies. All of this shows that if you are concerned with the development of this storyline in the dynamic publishing narrative that we’re seeing played out in the e-book era, look to hybrid authors. They will likely be the first to see change coming and at the vanguard when it comes to taking advantage of it. Jeremy Greenfield is responsible for managing all editorial content on DigitalBookWorld.com, including the DBW Expert Publishing Blog, the Digital Book Wire and editorial email and social media communications. Prior to joining Digital Book World in October 2011, Jeremy spent three years as a careers editor at FINS.com. Jeremy lives and works in New York City and is a graduate of the University of Pennsylvania. Hi Jeremy. Great article. I find myself with this title, though I did it in the reverse: three self-pub’d books out, and I signed recently with Booktrope to create a print version of my third book, Broken Pieces. I’m enjoying the process of creating the print version (my first) but I’m so glad I’ve done the work prior (hiring editors, proofreaders, formatters, cover artists) with my previous books. I know exactly what’s needed, as well as what I really like — and really don’t. Hey Rachel – Can you recommend me a few sites where I can find copy editors? Yep, I’m a hybrid too. 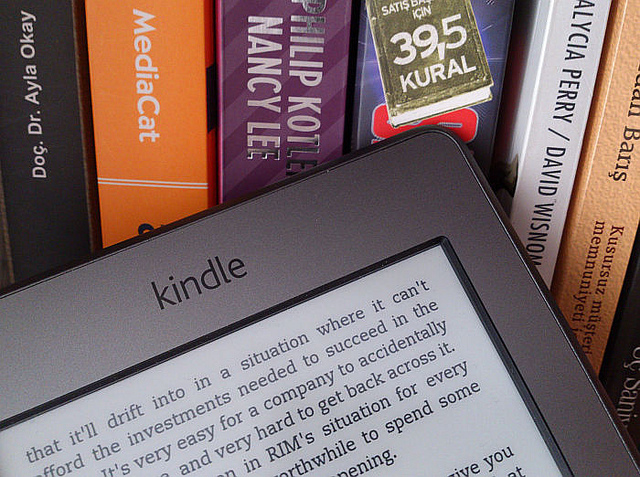 Todays business model for eBooks needs further change. We need to see the author selling their book and getting paid for it directly by the reader. There is no need for the writers royalty to come from a “publisher” middle man…why do we label our selves as “self-publishers” and then sell and get paid by… the publisher? LOL! If authors are tired of royalty reductions and other royalty mysteries from the Big 6 eBook publishers (which they well should be), then replace them with a new business model where the product goes directly to the reader and readers payment coming back straight to the author. Todays eBook “publishers” are just using their brand to be your ad agency in the middle…and then sending you a royalty payment without meaningful documentation. In the traditional business world, would you let your “sales rep” collect your receipts and then send some to you with little or no meaningful details?? Of course not…so why is the digital world any different? If you want to see the abuse disappear and build integrity into the new model, go DIRECT…. otherwise the giants will continue to abuse the little people who made the product in the first place because, at this time (Sept 2013) there is VERIFIABLE system of checks and balances…if you know of one, you will soon be very wealthy. Its time to stop using Neanderthal marketing methods in a high-tech world.